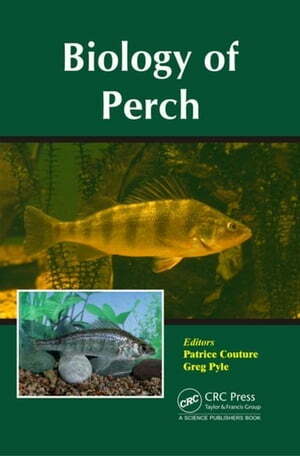 Collins Booksellers - Biology of Perch by Couture, Patrice, 9781498730334. Buy this book online. The genus Perca includes only three species of fish, but they are ubiquitous and abundant in freshwater and brackish environments of the northern hemisphere, from North America to Europe and Asia. These species are important both ecologically and economically. In Biology of Perch, world-renowned specialists review and update the biology of these fish. The book opens with a review of the genetic makeup of this complex assemblage from early post-glacial dispersion to the colonization of new habitats. The influences of geomorphological and biological factors on the dispersal of yellow perch (Perca flavescens) are explored. Two case studies exploit unique historical databases to follow population dynamics of yellow perch and European perch (P. fluviatilis) and to demonstrate how fisheries and habitat management can drastically influence the fate of fish populations. Three other chapters are dedicated to the general reproductive physiology, parasitology, and behavior of Perca species. The third species, the Balkhash perch (P. schrenkii), is a rare and threatened species of the Balkans, and a chapter is dedicated to its biology. The book ends with a review of the use of Perca species around the world as sentinels of ecological integrity and biomonitors in ecotoxicological studies.